It's a privilege simply to spend each day working with my clients...To be recognized beyond that by an organization such as Super Lawyers makes the hard work all the more worthwhile. The Law Offices of Brandon Bernstein, LLC is thrilled to announce that Brandon Bernstein has been recognized by the prestigious Super Lawyers organization as a 2016 Rising Star in Maryland. This is the 3rd consecutive year that Mr. Bernstein has received this honor and recognition from Super Lawyers within the state. Super Lawyers recognizes less than 2.5 percent of all attorneys within a given state or region as Rising Stars. Candidates must go through a nomination and selection process, before being carefully reviewed across more than a dozen factors, ranging from professional achievements to peer evaluations. Mr. Bernstein's motto at the Law Offices of Brandon Bernstein, is "Integrity. Experience. Results." It's in this way that he believes he's able to serve his clients best, striving to deliver superior customer service, attention to detail, caring support and ongoing guidance throughout the legal process. "It truly is an honor to be named a Maryland Rising Star by Super Lawyers for the 3rd straight year," said Brandon Bernstein. "It's a privilege simply to spend each day working with my clients and helping to secure solutions to their personal and legal issues for them. To be recognized beyond that by an organization such as Super Lawyers makes the hard work all the more worthwhile." As a divorce attorney in Maryland, Mr. Bernstein handles all matters pertaining to family law. This includes separation and divorce, alimony, child support and child custody in Maryland, prenuptial and separation agreements, division of property, and more. He also has firsthand experience providing divorce mediation in Maryland. This means that when clients are seeking an alternative to courtroom battles, Mr. Bernstein is able to step in and provide a hopefully quicker, simpler and more amicable and affordable solution. Learn more about his practice by visiting The Law Offices of Brandon Bernstein online at BrandonBernsteinLaw.com. Visit Brandon Bernstein's Super Lawyers attorney profile for more details on his three straight years of recognition as a Maryland Super Lawyers Rising Star. For more information or to schedule a free initial consultation, call 240.395.1418 to speak with a representative. The Law Offices of Brandon Bernstein, LLC is located in downtown Bethesda, and serves clients throughout the state as a divorce attorney in Maryland, covering a broad range of family law matters, and aggressively protecting the best interests of his clients at all times. 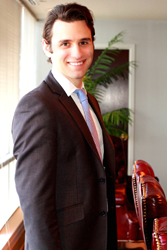 He has been named a Maryland Rising Star by Super Lawyers for three consecutive years. The core pillars of his practice are Integrity, Experience, and Results. For a free attorney consultation, prospective clients can visit his website at BrandonBernsteinLaw.com, or call the office directly at 240.395.1418.